We have an individual cat unit. 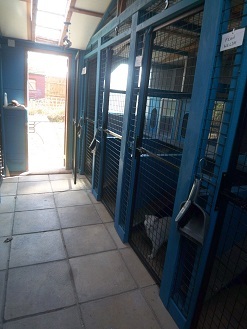 Each chalet can cater for single and double cats and has an enclosed sleeping are, shelves to sit on and run. The unit is heated. We provide everything your cat will need during their stay including toys and treats. 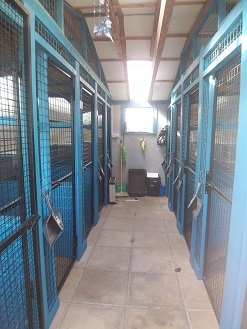 You are of course welcome to bring their favourite treats, toys and bedding as this can help them settle in. We stock most major brands of cat food which is included in the price. Feeding is generally done in the morning and late afternoon but if your pet eats more often (e.g. a kitten), just let us know and we can continue the routine. You are of course welcome to provide your own if you wish, especially if it's something out of the ordinary. We're more than happy to cater for veterinary prescribed or special diets but we will need you to bring these in with you. Fresh water is always available and changed frequently. If your cat is on any veterinary medication, we will continue to administer this at no extra cost. Just let us know and bring in their medication along with dosage instructions.